Announcer: Welcome to “Training Unleashed,” the show that will help you design and deliver training that’s off the chain and will make a difference. Now, here’s your host Cordell Riley. Cordell: Hi. Delighted to be with you. It’s also my pleasure to welcome to the session, Harry J. Friedman. Harry is an international consultant speaker, all on the subject of retail sales, sales management. Harry founded the Friedman Group in 1980, if I’m correct. Harry, welcome to the session. Harry: Cordell, it’s a pleasure to be here. Cordell: Now Harry, I know I did that real, real quick. Certainly expound upon yourself and the Friedman Group so the audience gets a feel for yourself, and your group, and what you guys do. 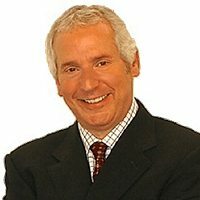 Harry: The Friedman Group, I started in 1980 with the purpose of sharing my ideas of productivity improvement on the selling floor, and that evolved into the understanding that it was management that was probably the weak link that was causing for a lack of sustained performance at a higher level. So we explored that deeply throughout the ’80s, and wrote and published, and gave seminars on our retail management concepts, which are used by more retailers than anybody in the world. And then we explored…in the ’90s, we explored district management and senior management and high accountability. So we’ve been blessed with…we have offices in 12 countries around the world, and we’ve trained over a million people, and we’re kinda lucky that we’ve got good stuff. Cordell: Harry, you’ve mentioned training over a million people, so you’ve obviously been in training for quite some time, and you’ve obviously had the pleasure of working with a lot of different organizations. I’d love to just kind of get your perspective on the importance of training inside an organization. Did you look at what businesses talk about, get into the next level, changing and doing things? How important do you feel training is inside of an organization? Harry: Well, Cordell, you already know the answer to this, but, you know, if inherently people have the awareness to do the right thing…in service industries I suppose it’d be fair enough, I mean that you get a sense of doing the right thing, and you do the right thing. However, when we look at technical training or product knowledge-based training or skill-based training, it becomes a completely different issue. So I don’t see them as similar, I see them as completely different. And certainly in the skill-based training in that…those kinds of businesses, I don’t know how you would exist without it. How it’s done is a whole ‘nother story, but it’s essential. I mean, it’s part of the DNA of how you get your people to behave the way you need them to behave. Not classical, theoretical, text book stuff, but how your company wants to process, whether it’s in manufacturing or, you know, paperwork, or whatever you’re doing, you’ve gotta do it the way you wanna do it. And, unfortunately, even a degree in any particular industry such as accounting or being an attorney, doesn’t account for how the owner of that organization or CEO wants their people to behave, you know. And we often refer to that as culture, don’t we? And in so many different ways. If you think of Disney’s culture, or IBM’s culture. If you go back to even look at Ford Motor Company versus Chevrolet, and I’ve been blessed to be at both of their headquarters over the years, and you might as well be on a different planet. The people are different, the way they behave is different, and yet, many of the jobs are very similar if not identical. Cordell: Yeah. Do you think most business leaders are looking at it as one of their key metrics, key items that’s gonna help that business forward? Harry: Of course not. I mean, listen, it’s a matter of…sometimes it’s a matter of how the company started, you know. If you look at the Nordstrom brothers back in Seattle in the late 1800s or early 1900s, you know, that made…they sold shoes, and they had a particular idea of how they wanted to do it, and now, today, it’s Nordstrom, right? And Disney started with this, you know, little cartoon Mickey Mouse thing, but what a culture, right? It’s just unbelievable. Our McDonald’s culture…they started this world. I’ll tell you the biggest challenge on the planet is retro work. Getting, you know, changes done. Change management. Oh, it’s rough. It’s kinda fun, it’s kept me in business for over 30 years. Announcer: We’re so glad you’re listening to this episode of “Training Unleashed,” brought to you by Tortal Training. The difference between Tortal Training and other online training companies is, we are primarily a training company with technology, rather than a technology company that does training. Wanna find out more? Just go to tortal.net. That’s T-O-R-T-A-L, tortal.net. Cordell: So you mentioned culture several times, you mentioned retro in the culture. And think about our audience here, so many of…if we got these training people, they are trying to say, “Okay. I wanna do a better job. I’m trying to, obviously, enhance my skills as a trainer inside of the organization, but I got some culture things I have to work on.” Any tips? Any words of wisdom that you would share with the audience as it relates to this? Harry: Well, I’ve been working with training people for, you know, over 30 years. So…and we have served many multinational companies, and very big national companies that have training departments, and sub-departments and sub sub-departments, and so forth. And I find that there’s often misguided visions or chain of command. You know, training is not an operational position, and yet, in retail, they’ve made it as such. So we don’t like…when we’re about to work on cultural change within an organization, the last people we wanna talk to is the training department. And I’ll tell you it’s because they don’t have the horsepower, the authority, or the operational will to change anything. So, if we get back to your original question, I would say that the most important mandate is for the training department to really be partners with the tactical or operational side, in such a way that they’re not protecting their own turf. And this happens so often that it’s, oh my God, it wears me out. I mean, really. I mean, you understand what…I’m a retail guy, right? But my customers are not…my customers are, it’s B2B, so it’s not as if I don’t understand B2B. I mean, I’ve written courses on B2B, so that’s not an issue. But, I mean, in the end, you want Johnny going up to a customer, thrilling them to death, smiling, you know, like crazy, and making the deal, right? Then adding on. It’s not more complicated than that. But the laws and the rules and the, you know, the flat out garbage that goes on to, forget A to B, we’re on the Cyrillic system, you can’t even figure out what the letters are, you know. So, you can’t fire anybody, you know, blah, blah, blah. Well, anyway, I would hope that trainers would fight to be better partners with the operational and tactical side. That’s the global process, and that’s for sure. And I didn’t wanna talk about the training itself, we can talk about that any time you want, but I see that as the biggest problem is the training department is usually the enemy of everybody. For no really good reason. Cordell: Yeah, you know, and that’s a great point. One of the things that our training magazine time I worked at, they came out with their top five trends in training for 2015, one that they talk about was aligning training with business goals. Not just training for the sake of training, but really aligned with all business goals and moving it forward, so great point to talk about there. Harry: Except for…I gotta beg you to stop reading magazines like that. It just gets you further from the truth. It’s platitudes. I mean, at the end of the day it’s an operational game, isn’t it, really? It’s about execution. It’s not about defending your job. And coming up with all sorts of new processes and ideas, when it’s just in front of you, to defend you job. Now, the operational guys have to understand that they just want results and get off the back of training, and let them do their job, right? So it is a partnership, it’s just so far away from the truth. Cordell: What is the truth then, Harry? What is the truth? Harry: The truth is we’ve lost sight of the goal. The goal is the big set of behaviors that we want, right? Often times we have process that gets us to that behavioral change, right? Training companies supposedly have better process, otherwise why would you hire them? I mean, The Friedman Group has process. We have our methodology of getting Johnny as a rookie, or newbie, or even a veteran, to behave a different way. But we’re also very interested in time limits. So we need willing participants. Training departments are patient. They’re not only patient, but everybody’s patient in the political world. And I’m not that patient. I want performance. And I pay for it, so I want it. Yeah, that’s the game, isn’t it? I give you money, do what I want you to do. Not what you want to do, but what I want you to do. And I start with that premise, and that separates about half of my potential clients. To play that game. We’re known to be pretty tough guys, but in the end, we get higher performance than any other company that’s ever existed in our world. Cordell: Higher performance than any other company that’s existed. What does that mean, Harry? Just go a little bit deeper. What does the highest performance mean? Harry: That if we look at two things that are essential. Number one, you know, you gotta give them sales increases, otherwise they can’t defend, you know, it just makes them feel better. And we all like sales increases. But what I’m more interested in is setting up the infrastructure and the processes to maintain it. That’s what I’m interested in. The only way that occurs is through cultural change. And, let me give you an example. And, Cordell, we could use this in any industry you want. We could use it in manufacturing, we could use it in service businesses, whatever. Let’s say I’m talking to a jeweler, and I ask them, “Are you a jewelry store that makes sales, or are you a sales company that sells jewelry?” And I’m only interested in one answer. You bet it’ll be a sales company that sells jewelry. Because at the end of the day, you can’t always buy right. Announcer: “Training Unleashed” is brought to you by Tortal Training, specializing in E-learning and interactive online training solutions for corporate, government, non-profit and franchise organizations. Tortal makes effective training easier. Just go to tortal.net to gain access to real world tools that can make a difference. That’s tortal.net, T-O-R-T-A-L, tortal.net. Cordell: Harry, I wanna go back to something. You kinda touched on this about sustainable. Doing things that are sustainable, people will get results. When I was looking at your bio…I’m just gonna read this. I think it’s relevant for our audience. You kinda touched on it, but what you’re talking about, it says, “Never a matter of just disseminating information. It’s always about transform the culture so it is sustainable.” So it is sustainable is getting those results just stop there. Again, talk to our audience, Harry. So, if I’m getting ready to build training inside of my group for whatever it might be, it’s not just about disseminating that information, I would wanna make sure I’m gonna do something that’s sustaining or is gonna help get those results. How do I go about doing that as a trainer inside of my organization? Harry: I’m not interested in training for training sake. I mean, why? I mean, you know, I mean, there’s no goal in training. There’s only the job itself and the ability of an individual to execute that job. That’s it. I mean, training is just a link between this guy knowing nothing and them being able to do what you want them to do, right? That’s the link. But in order to sustain our jobs, sometimes we teach this guy about 800 things that he doesn’t need to know. So, I had a client in the Kitchen and Bath business. I still do. He’s a dear friend of mine. And we were talking about refrigerators. Somebody’s gotta sell them. I said, “You must apply my theory of 10.” And he says, “What’s your theory of 10?” “And I said,”There’s no chance in the world that a customer would ever ask more than 10 questions about a refrigerator.” Think about it. But you’ll sit there right now, you’re gonna go, “I’ve got 11.” Okay, yeah, sue me. But it’s 10. Harry: Yeah, no, I got the thickest in the industry, don’t hit yourself. You know, value. I wanna keep it…I want to eliminate the garbage that we don’t need to teach the guy, and then hold him solely accountable for the stuff that I do, then eventually…and drill him on it, and drill him on it, and drill him on it. We don’t do that. We’re terrible at drilling people. We feel so guilty about asking a guy three months later if he can still do what you taught him in the training class. We don’t do it. So, I mean, it’s ridiculous. I mean, doctors don’t do it, attorneys don’t…nobody…you know who does, airline pilots, thank God, do it, right? They have to be certified, right? They get constantly checked…it’s called check rides with, you know, FAA guys, and everybody else, to make sure, right? And what they’re saying is, “We have all these people in your hands,” right? And why is that any different than business? We have all these customers in your hands and you can’t answer simple questions, and no one even knows that. So, I’m just going back to the simplest thoughts in the world with high accountability. So, to heck with all the manuals. Give this guy the 10 questions asked on any subject, and then ask it to him all the time. And, eventually, he’s gonna know it. And when he knows it, he can use it. And when he uses it, he’s on the team. And he’s never on the team until he can use it. Cordell: Wow. So I heard get rid of the big manual, really focus on the things, the 10 questions that that person needs, drill them on it. I like the term of drilling them on it. Going back over and over again, so I heard that. You talked about holding them accountable, Harry. What does that mean? Holding somebody accountable? So I’ve got two things you really need, I’ve drilled you on them, and I’m gonna hold you accountable. What does that mean? Harry: Okay. So, here it is. If it’s a job, then it has a statistic. If it’s not a job, then it might not have a statistic. But jobs always have a statistic. So if you’re an attorney, maybe the statistic is the percentage of cases that you won, right? And you wanna hire the guy with, you know, high bending average. So each job, right, has statistics. And we look at those statistics, we throw out all the garbage that managers want just because it gives…keep, you know, they have something to yell about, you know, which is ridiculous. Keep it simple, keep it…some KPIs, you know, you could call it whatever you want, you know. I’m now using training talk, because, you know, I wanna sound good. Harry: You can find with SME. You know, I’m an SME, I know this stuff. Keep it simple, and hold the guy accountable, and have a culture that is ready to take disciplinary action at a high level, fast and hard. Fast and hard. Now, that doesn’t mean that I go around firing people. On the contrary, people wanna work in a place where they’re held accountable, so they know how to win. People don’t even know how to win, right? And I don’t give trophies to third place and ninth place, like they do in Little League today. I don’t do that. Cordell: I’m not sure you can be a soccer coach now, Harry. In this day and in the world that we live in. Harry: Not gonna be. Yeah, not gonna. Yeah. No. I’d be fired too fast. You want everybody to play, of course, but it’s not important in those leagues, at that age. It’s important to participate, for sure, but teaching them that you get a trophy for sixth place is a bad lesson, because it just…it carries through their life. And they’re poor performers in their business life, but they want some sort of trophy. I say, “No.” We wanna help them find a career at an alternate place. Anyway, I’m just..I’m sounding a little bit tough here, but I like high accountability, Cordell, in a big way. Cordell: I hear you. And I grew with their…holding people accountable, KPIs, link them back to what the business wants, that would be great, awesome. Harry: That’s it. Period, you know. And lots of fun. Cordell: Fun? We didn’t talk about it. Certainly you and I are having fun, but talk about fun, Harry. I think fun is key in an organization, I think it’s key in training. What’s your perspective on fun in this whole scenario here? Harry: When I was running The Friedman Group back in the ’90s, my department managers had…yeah, I can’t even believe I say this, called the warm fuzzy fun, right? And it just kept ridiculous, because I wouldn’t say it works like that today. But, you know, the folks liked it. I put in thousands of dollars into each department every quarter. And I just said, “Give it away. Find a way.” You know, “Make it fun. Take them all out, you know. Just do ridiculous things.” And there’s a sense of bonding, and teamwork, and fellowship, and all that. You know, you spend more time with the people you work with than you do anybody else in your life. Cordell: What are some of the biggest changes that you’ve seen in training from the ’80s to where we are today? What are some of the biggest changes that you’ve seen? Harry: Well, there’s only…I mean, everything stems from the internet. I mean, it’s changed everything 1000%. I mean, I was the very first guy on the planet to resist E-learning. Harry: Yes. I was the first guy. Well, you know how much money it was gonna cost me to change everything here? Now, of course, I adore it. But I only adore it because it makes as if it’s accessible at a low cost for so many people. I don’t adore it for its usefulness. However, I mean, it may or may not be true, there’s lots of technical things, and boring things that can be gone through quite easily, that are not culture-driven, right? And I think E-learning is brilliant for that, without a doubt. I think it’s just a minimum level of expectation that you can get out of E-learning, which is great, but that’s only part of it. Cordell: When did you guys start internet training or making it available via the internet in The Friedman Group? Harry: In various forms, yeah. We may have even had private channels with our training internet setups and so forth, not the public internet. You know, you could go online and actually buy our sales courses, online courses now, you know, over the internet. You could do that, or any of a lot of our other programs. But before that, it certainly was available through the internet of bigger companies and so forth. But we’re fairly new to the game, you know, eight, nine years, but we’re good at it. Cordell: So, Harry, you mentioned the internet is one of the biggest changes. What have you seen as one of the biggest challenges in training right now? What do you see as one of the biggest challenges in training? Harry: I’ve said this to many, many clients. And I say it very respectfully with a smile on my face, so please, please look at the smile on my face…and I don’t mean it, but I must give you the real words that I use because they have impact, but they’re not politically correct. I would say, “Sometimes you just gotta grab somebody by the neck and teach them how to sell.” You know what I mean. Obviously you don’t, you know. My God, you’re not touching people or going to jail and, you know, I’m not talking about that. It’s, you know, kind of a spiritual thing, you know. Just teach somebody something, you know what I mean? Look at them face to face, work with them side by side, and don’t leave their side until that guy is as good as you. Just train him, right? Make sure that he knows how to do this stuff. Why do people need so many managers if they’re good at what they do? It’s a tough question, you know? Harry: And the internet takes a little bit…Cordell, the internet takes a little bit of that away. You see, I mean, some of us test very, very well, right? So we can get through the end of chapter testing on the internet. You know what I’m saying. It doesn’t necessarily mean that you can actually do this stuff. So the goodness that provides us the opportunity to have it in even minute details, in terms of training, right? Just little, tiny, segmented things, which is really wonderful. And the problem, on the other hand, is that you don’t know if the guy can do it, you know. I mean, we have content…our website, we have content management, you know, all that. Why would I wanna print policy and procedures manual when I can put all that stuff…you know what I mean, on LMS, and ask the guy four questions, and, you know. And at least your liability is taken away. Doesn’t mean you can do anything. Harry: I’m gonna tell you the truth about me, and it’s sad, but there was a time, Cordell, in my life that I could do an algebraic equation. Cordell: Oh, my goodness. We’re not gonna do this on this phone call. You’re not gonna throw me stuff like that. Cordell: So if you had to give some tips to this audience, how can they make their training more effective inside of the organization? I know we’ve talked about a lot of different things. What kind of tips would you wanna leave this group with, as they’re going back thinking about this, today? Harry: I started writing two words back in the late ’80s, that it changed the way we train, and certainly a lot of our customers’ lives. And these are two words that can change any trainer’s life. And the two words are “Show me,” right? So we believe that the training cycle is never complete until the trainee is able to show someone their competence in a step, you know, a process, or even a global, you know, a global training program. “Show me” has to be built in way more than it is currently in the things that I see. And it spikes our steps, so it’s little bit of this, show me, little bit of this, show me. And if there’s a faulty foundation, Cordell, any of the guys training over here, then the building over here is on such unstable ground, that it collapses so easily. So I think we gotta do things in a gradient that people can accept, and we don’t all learn at the same rate. We just don’t. This is why E-learning is so great, because it’s not the trainer’s agenda, it’s the individual’s agenda, which is, I think, not really taken into account in training sessions. You know, we do a three-day management, and sales and supervisors course. We have for almost 30 years around the country if not the world. We’re actually running them all over the world. And, you know, when my trainer’s done at 5:00, we’re done for the day. Whether the trainee is done or not doesn’t really matter. We’re done. And I think that’s going on in the training world today. So show me, some sort of flexibility in learning rates, yeah. Those are big things. Cordell: Harry, thank you for this. This has been very, very helpful. Very, very informative. Harry: Pleasure to be here.